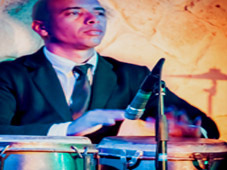 Authentic Cuba Travel offers the BEST Tours & Travel Services to Cuba. Period! With the recent easing on Cuba travel regulations from USA that allows US citizens & US professionals to go to Cuba to do research related to their work or to engage in educational and cultural people-to-people and religious exchanges. It is almost 100% sure you will find a Cuba tour that helps you travel to Cuba under the provisions of the General License for educational or religious activities. Not only are there authentic Cuba tours to fit any budget and interest, each Authentic Cuba Travel experience immerses you in the authentic Cuba so hard to explore while staying in full packed beach resorts. Call our offices and find out why we have the best team and the best collection of Cuba educational tours. Our sales representatives have been trained in Cuba’s tourist trade for at least 10 years to qualify for the job. Then they have been trained some more at North America’s best travel business schools, then and only then they are qualified to provide Cuba travel advice to you. When it comes to Authentic Cuba Travel, experience counts. Do not settle for less; do not pay more for less! As USA Cuba Travel leading providers, our team of experts with decades of experience in the Cuba tourist industry will make sure you enjoy extraordinary services, beautiful rooms, and great dining options and visit the best attractions and destinations the Caribbean island has to offer. Travels to Havana, Bay of Pigs, Trinidad.. Travels to Havana, Cienfuegos & Trinidad. Travels to Havana, Cienfuegos, Camaguey.. Invite a friend to join our Cuba education tours and receive $50, $100 or up to $150 discount! Yes, you can receive a discount of up to $150 PER EACH tour participant you bring on board! Check for promotions in the "COST" section of the Cuba tour you select or call us for more information. 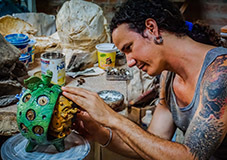 Even better, your family member, friend or colleague or person you invite will also receive a great discount for his/ her participation on this Cuba educational tour. It is a win-win situation for both you and the tourmates you refer. Click the icon below to tell your friends in a quick easy step!